Located along the Appalachian Mountains in Little Gap Valley, Blue Mountain Resort is home to the highest vertical, the most varied terrain, and some of the longest runs in Pennsylvania. With such an impressive location you’ll need the accommodations to match, including gorgeous amenities! 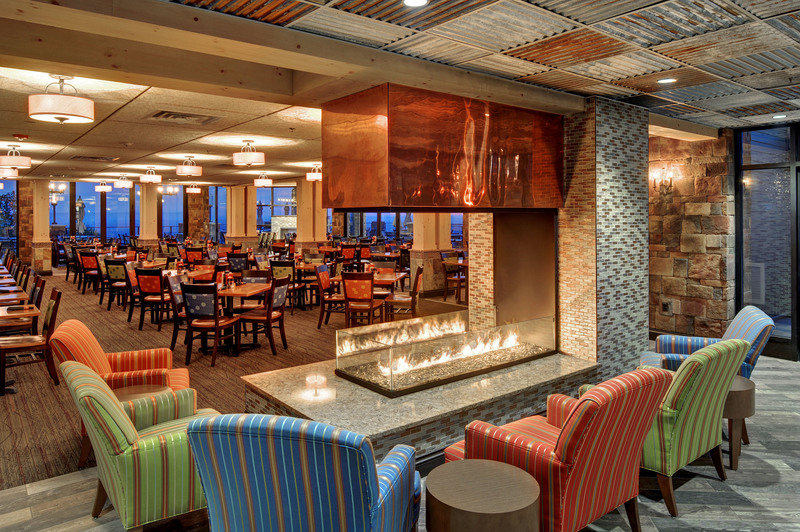 When Serfass Construction Company came to us looking for multiple fireplaces for a restaurant within a luxurious ski resort we were happy to help! Our Fireplace Advisors walk through all types of fireplaces and options with each and every customer to ensure we find the perfect fire solution for your project. 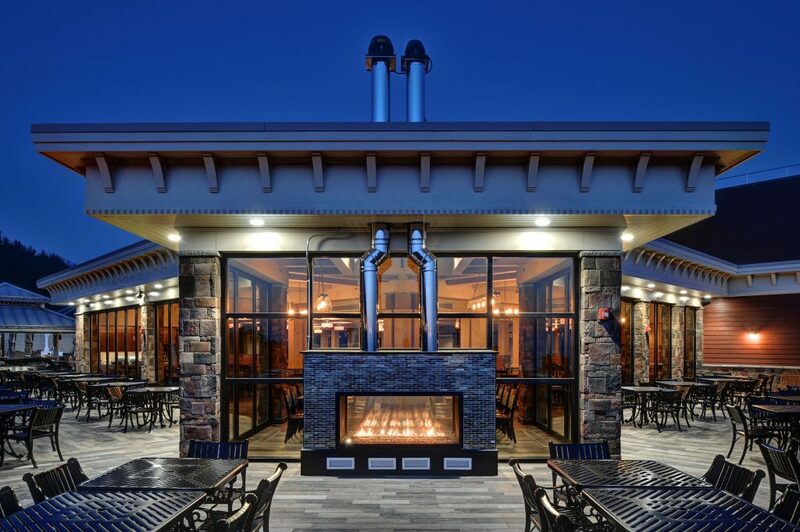 In this case, Serfass Construction chose a gorgeous custom gas see-through indoor/outdoor fireplace to connect their interior and patio dining areas; they also chose a 3 sided custom gas peninsula fireplace for the restaurant interior. This beauty has a 60″ wide x 24″ tall viewing area with a 52″ propane burner adding the perfect amount of ambiance to both the interior & exterior dining options at Slopeside Pub & Grill. This show-stopping custom gas commercial fireplace includes viewing areas of 72 1/4″ x 48″ and 26″ x 48″ with a 60″ electronic ignition natural gas burner. We truly enjoyed working with Serfass Construction Company on this project and look forward to future opportunities! Special thanks to Steve Wolfe Photography for amazing photos.